Order now at Amazon, Barnes & Noble, The Tattered Cover, the Boulder Book Store and wherever books are sold. Lidar has quietly radiated from its niche in atmospheric science to water to land and into space. It has helped us better understand the air we breathe, the creep of continents, the paths of intercontinental ballistic missiles, the water in mountain snow packs, the damage done by hurricanes, the impact of climate change on ice caps and much more. Lidar has found lost cities and mapped modern ones, characterized enemy territory from cruising altitude, nabbed speeders, avoided blackouts, and listened to the conversations of stink bugs. It’s now headed to the streets, where lidar will soon go mainstream as a key enabler of self-driving cars, averting thousands of traffic deaths a year, changing how we commute and, over time, reshaping our cities and how we live in them. 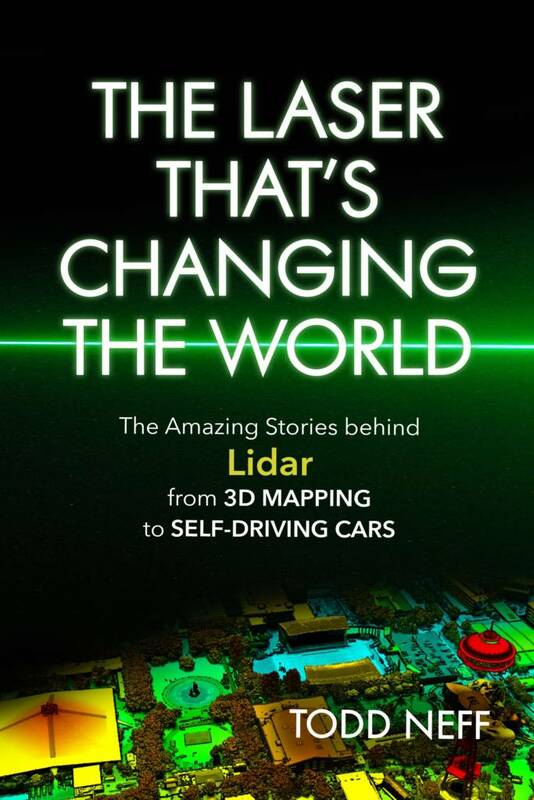 The Laser That’s Changing the World is a popular science and technology book combining historical research with fresh reporting to tell the story of lidar’s origins, the people who propelled it forward, and its fascinating transitions to the mainstream.